Are you looking for that something different for your child’s birthday party? Why not try the ever popular GL GOLF Academy Birthday party?! 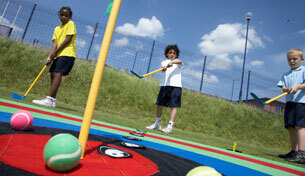 Golf parties are becoming more and more popular as parents seek an alternative to McDonalds or the Wacky Warehouse! We’ve held 9 birthday parties from 2016-2018 and we’ve had many enquiries already for upcoming months. We generally use the Tri-Golf equipment and after quickly teaching the children how to use the equipment we get into the games. We have putting, chipping and long game challenges for the children to play and the feedback we’ve had so far has been nothing but fantastic. We completely cater for your requirements and budget – we therefore have no pre-set prices as we’ll build something to work for you and your child’s special day.